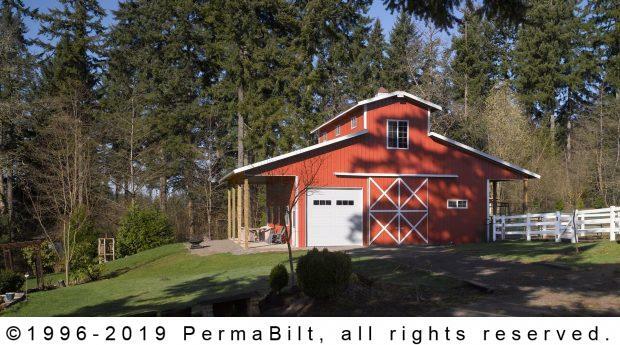 A concerned couple came to us as their original contractor disappeared on them. Wouldn’t return their phone calls or emails. 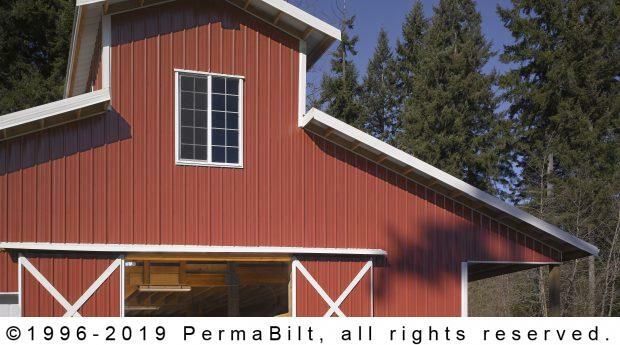 They purposely sought out PermaBilt® based on our reputation and having been in the business since 1973. 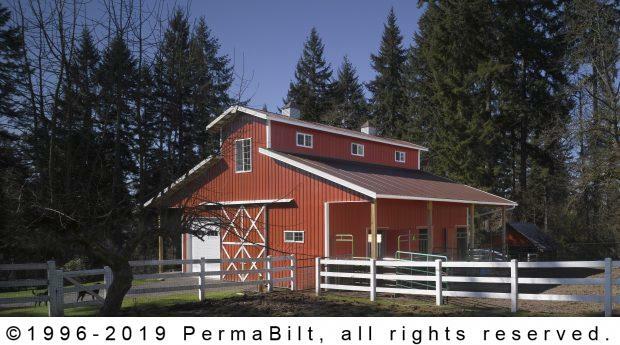 This Brush Prairie Washington customer wanted not only the quality put into the building but the service and reputation as well. 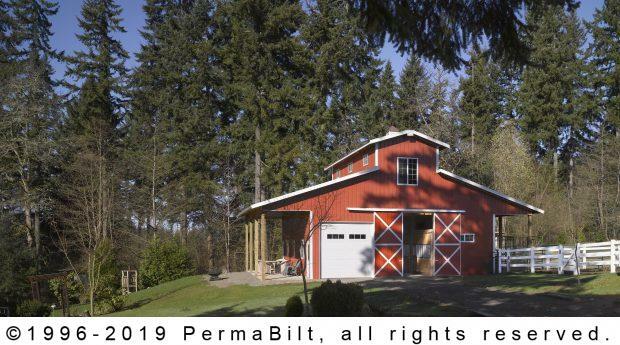 Our Building Representative met with them and immediately eased their concerns about getting their horse barn done. 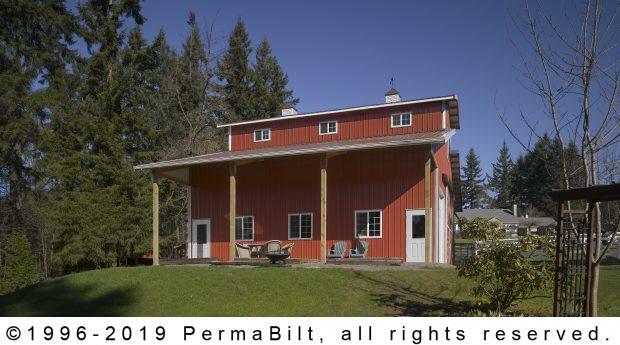 Working with them on the their original horse barn design, the couple added an additional stall, a lean-to for family barbecues on the patio and a garage door to house their tractor and other equipment. 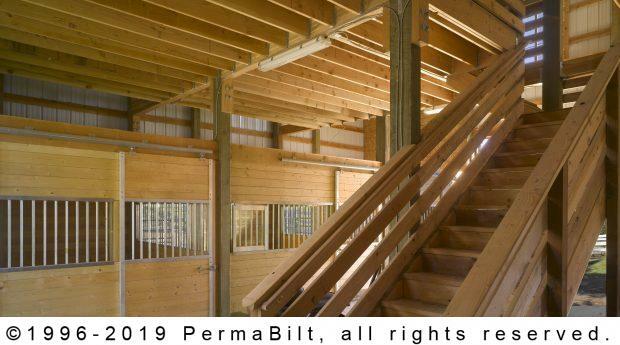 After having boarded their horse for several years, the couple was so thrilled to bring their animals home and not just any home but a brand new 2 story horse pole barn designed for their well-being and care.